We’re progressively building a special set of resources for researchers. Scroll down to find featured works. This is an annotated list of special issues of journals outside the fields of library science and archival studies that have focused on archives. A regularly updated list of essential practical and theoretical readings on aspects of archives and materiality. The bespoke newspaper from the workshop. Amy L. Stone and Jaime Cantrell, eds. SUNY Press, 2015. Hardcover. 372 pp. This new collection poses questions about queer archival research. The contributors recognise how the archive, much like the closet, exposes various levels of public and privateness—recognition, awareness, refusal, impulse, disclosure, framing, silence, cultural intelligibility—each mediated and determined through subjective insider/outsider ways of knowing. Importantly, in their essays scholars engage with the affective experience of being in the archive, illuminating how the space of the archive requires a different kind of deeply personal, embodied research. The contributors draw on their experiences conducting research in disciplines such as sociology, African American studies, English, communications, performance studies, anthropology, and women’s and gender studies. Unarrested Archives: Case Studies in Twentieth Century Canadian Women’s Authorship. Linda Morra, University of Toronto Press, 2014. Hardcover and paperback. 256 pp. A new monograph study by network co-convenor, Linda Morra. Exploring the archives of Canadian writers E. Pauline Johnson (1861–1913), Emily Carr (1871–1945), Sheila Watson (1909–1998), Jane Rule (1931–2007), and M. NourbeSe Philip (1947– ), Morra investigates the ways in which women’s archives have been uniquely conceptualized in scholarly discourses and shaped by socio-political forces. She also provides a framework for understanding the creative interventions these women staged to protect their records. Morra traces the influence of institutions such as national archives and libraries, and regulatory bodies such as border service agencies on the creation, presentation, and preservation of women’s archival collections. Kate Eichhorn, Temple University Press. Hardcover, 208 pp. 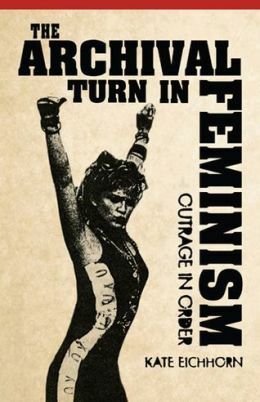 In The Archival Turn in Feminism Kate Eichhorn has produced an original and incisive addition to the increasingly lively and crowded international debate around archives, feminism and activism. She examines institutions such as the Sallie Bingham Center for Women’s History and Culture at Duke University, The Riot Grrrl Collection at New York University, and the Barnard Zine Library. She also profiles the archivists who have assembled these significant feminist collections. For Eichhorn and for her subjects (activists, archivists, scholars, and feminist cultural workers), the archive is not a mere repository or a site for safeguarding the ephemeral material traces of a feminist past, but an ‘apparatus to legitimize new forms of knowledge and cultural production in an economically and politically precarious present’ (p. 4). The book is also vitally concerned with temporality and with the opportunities archives and archiving afford for rethinking and re-narrativising feminism’s complicated entanglements with politics, memory, history and futurity. Of further note in this work is Eichhorn’s explicit engagement with archival professionals, and particularly her insistent recognition that all too often feminist scholars’ celebration of women as potential archival subjects comes at the expense of understanding women as ‘central agents of the archive’ (p.2). Archives and libraries, she underscores, are not just the places we as researchers come to do our work. Considerable attention is paid, therefore, to the question of collection development and to the singular contribution made by a series of activist librarians and archivists to the imagining, creating, shaping and maintaining of the key feminist collections Eichhorn discusses. This represents an important and useful extension to debates concerning the politics of feminist activism in the realm of the archive. Linda M. Morra and Jessica Schagerl, eds. Wilfrid Laurier University Press. Hardcover, 348 pp. 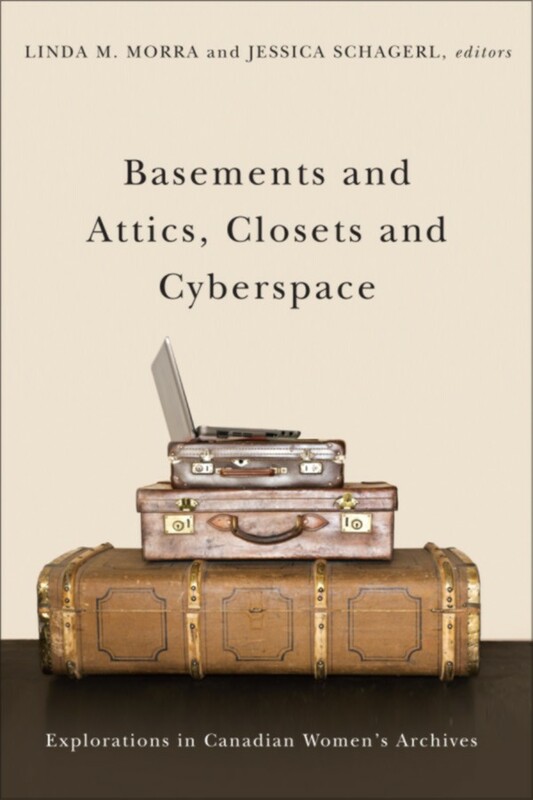 This collection showcases the range of critical debates that animate thinking about women’s archives in Canada.The essays in Basements and Attics, Closets and Cyberspace consider a series of central questions: What are the challenges that affect archival work about women in Canada today? What are some of the ethical dilemmas that arise over the course of archival research? How do researchers read and make sense of the materials available to them? How does one approach the shifting, unstable forms of new technologies? What principles inform the decisions not only to research the lives of women but to create archival deposits? From questions of acquisition, deposition, and preservation to challenges in the interpretation of material, the contributors track at various stages how fonds are created (or sidestepped) in response to national and other imperatives and to feminist commitments; how archival material is organized, restricted, accessed, and interpreted; how alternative and immediate archives might be conceived and approached; and how exchanges might be read when there are peculiar lacunae—missing or fragmented documents, or gaps in communication—that then require imaginative leaps on the part of the researcher. Contributors include: Catherine Hobbs, Hannah McGregor, Karis Shearer, Daphne Marlatt, Karina Vernon and Julia Creet.